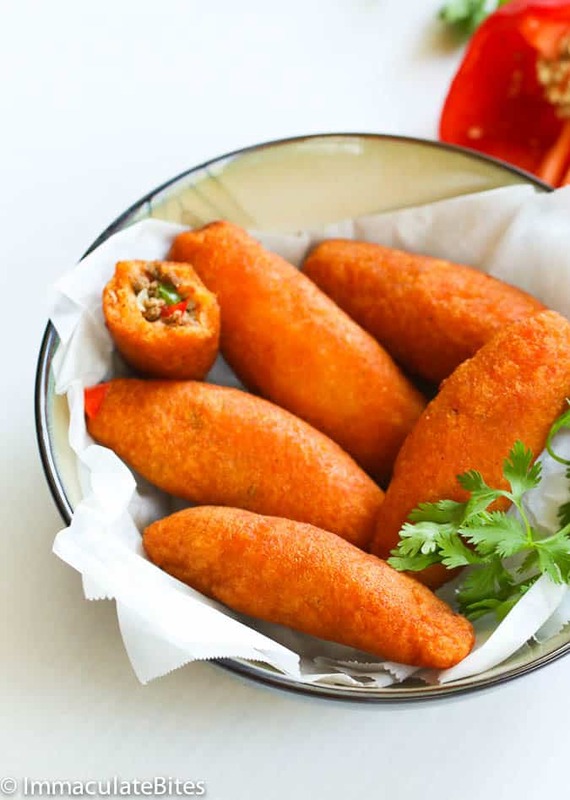 Alcapurrias — a classic traditional snack from Puerto Rico that is primarily made of grated yucca(masa) or both yucca and green banana, stuffed with Picadillo – a scrumptious beef filling . Perfect for on-the-go snack and entertaining! Probably the first thing that comes into your mind when you say “alcapurria” is beach, if you’ve been to Puerto Rico . This tasty snack is pretty popular with the locals. 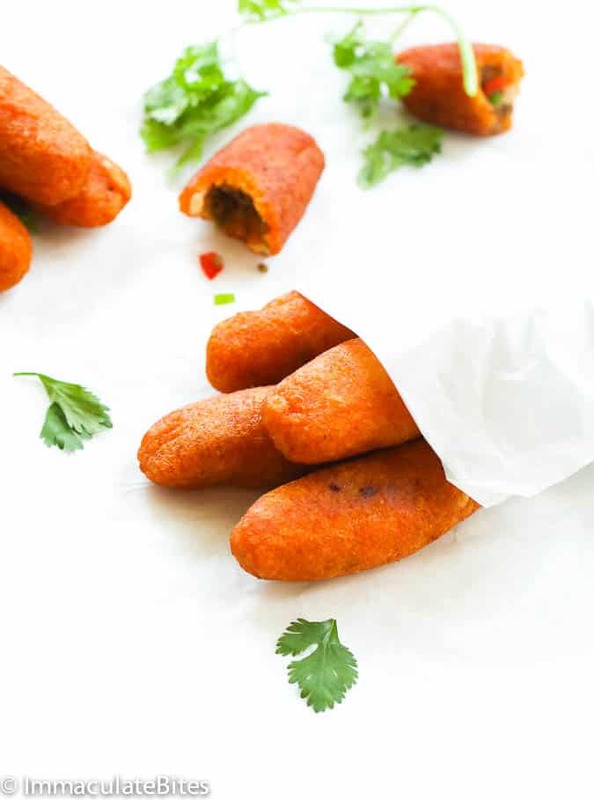 You can find them sold along the streets and/on beach kiosks which makes it THE perfect snack when you want the tropics in the comfort of your home . Oh, don’t forget the Pina colada if you want that overload “beach” vibes too! No need for a trip to Puerto Rico , you can have a sensory trip right now . Okay, daydreaming aside. What I really love about these Alcapurrias is it has full swing of surprising flavors, deliciousness in every inch- I tell you. It’s comparable to these African Meat Pie . 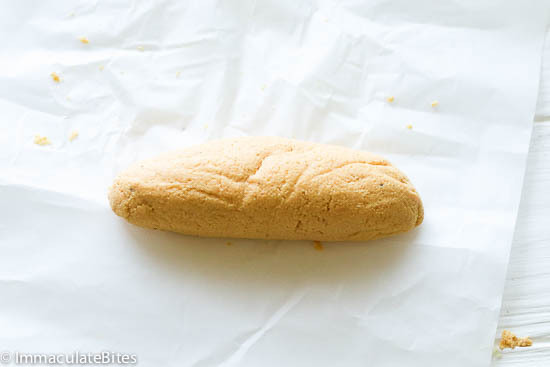 But this dough is gluten free – traditionally made from starchy vegetable, which might include the following -grated green plantains/banana, yuca, and /or cocoyams . 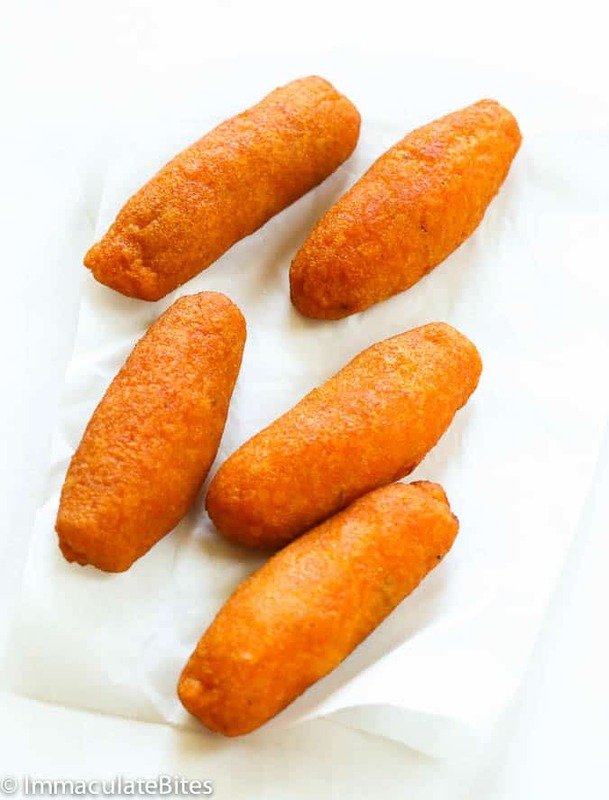 Texturally , Alcapurrias is crunchy , spicy and doughy . And when you bite into it , you are met with a unami taste – sweet, spicy and tangy from the olives , raisins and meat filling . The color factor also plays a part of the overall package of these snacks. 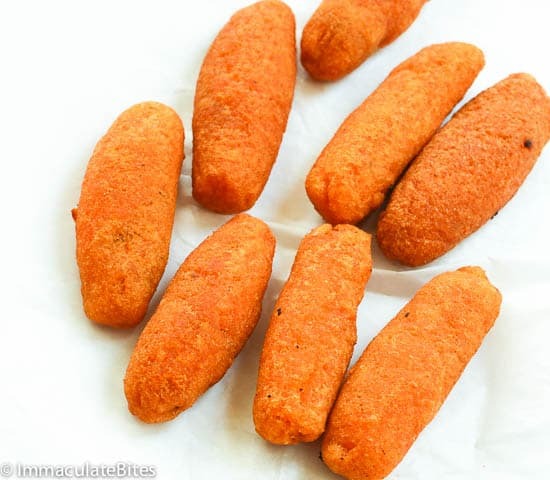 That toasty orange color makes it SOOO irresistible that you want to grab them right away and munch on them- right out of the fryer , then I just can’t stop- Arrrgh!!!! It’s appetizing orange color is due to Sazon con Achiote into the dough mixture. Achiote is a spice coming from bija plant which is commonly found in the Caribbean. 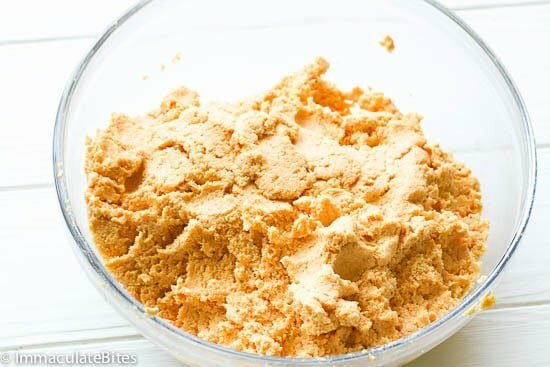 This spicy powder mixture gives the dough the orange color with an added special flavor. If it’s tradition you are after then go for it ! If you live in the U.S you can easily grab a packet at any hispanic market . If not don’t beat yourself too much. Just omit it and spice with your favorite seasonings. 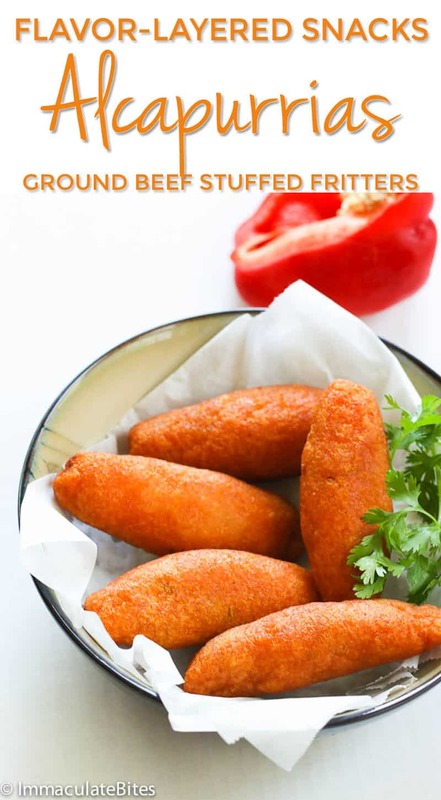 Combine that with the scrumptious Picadillo filling and you have a wonderful snacks that has variations of textures and layers of great flavors to make your taste buds sing for joy! These snacks won’t surely fail you. Enjoy! You can also customize these Alcapurrias according to your preference. 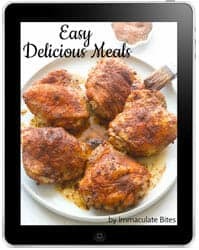 You may sub the ground beef filling with ground chicken, turkey, stewed crab or salted cod and still enjoy the same rich and flavorful experience. After you cut the Yucca into small chunks, wash them immediately and soak them in cool water until you’re ready to use to avoid discoloration. Do not overcrowd the pan when frying. It’ll make the dough all soggy. You may assemble all of it in advance, wrap them in plastic and freeze it for future use. 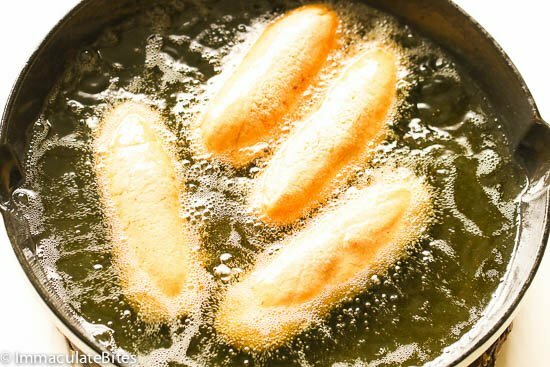 Thaw out and toss in the fryer when you want to indulge on these snacks. 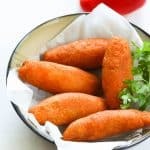 Alcapurrias -- a classic traditional snack from Puerto Rico that is primarily made of ground dough yucca or both yucca and green banana, stuffed with a flavorful ground meat. 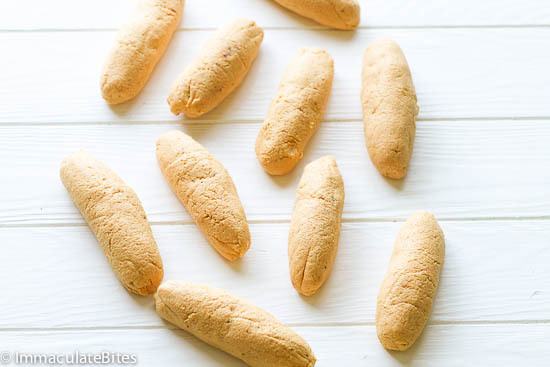 Crunchy on the outside and surprisingly flavorful on the inside. Perfect for on-the-go snack and entertaining! Cut of both ends of cassava /yuca and then cut them in half. 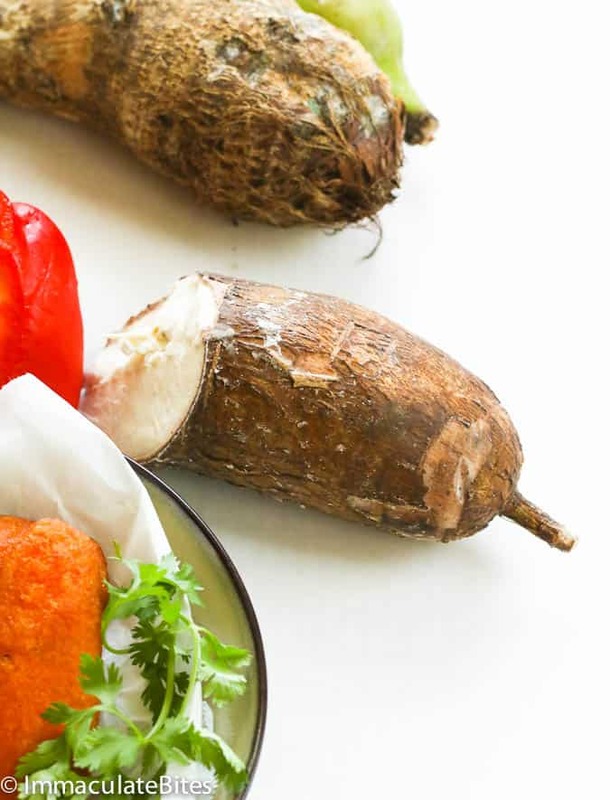 Make a shallow cut into the skin of the cassava and gradually work your knife under the layer of the cassava/yuca to remove the skin. Split in half then remove the inner woody core in the center discard it. 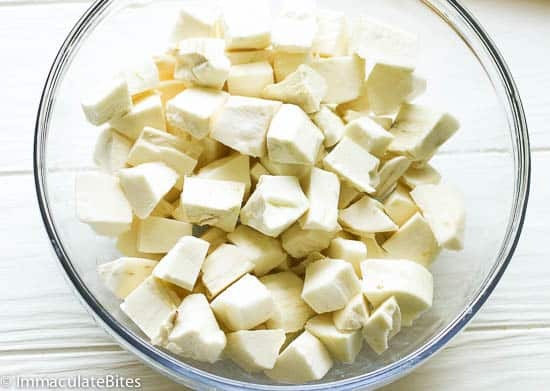 Cut into small chunks and wash immediately to prevent discoloration and leave them in cool water until ready to use. 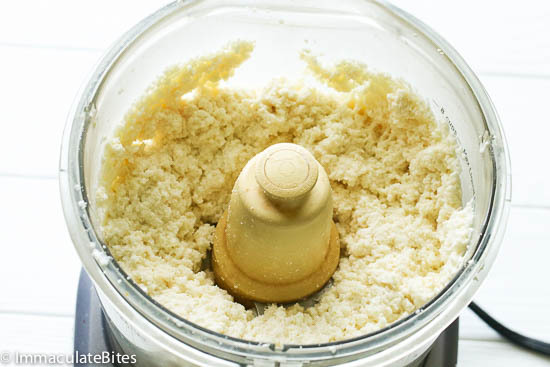 Pulse the cassava/yuca in a food processor with until puree or use a grater to grate it. You may have to do so in batches . 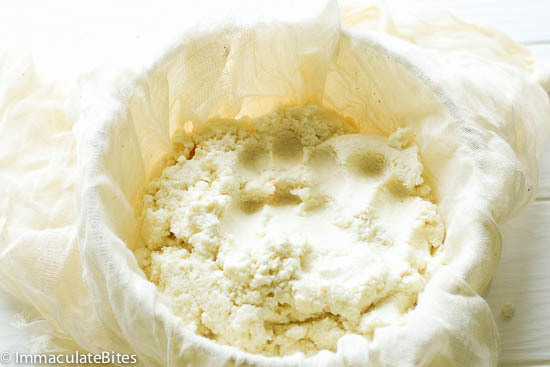 Scoop about 3 tablespoons yuca mixture into palm of hand. Then flatten it out into until it covers the palm of your hand. 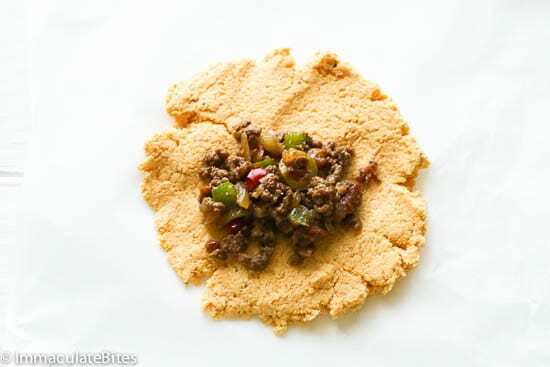 Add about 1 tablespoon of picadillo into center of dough. 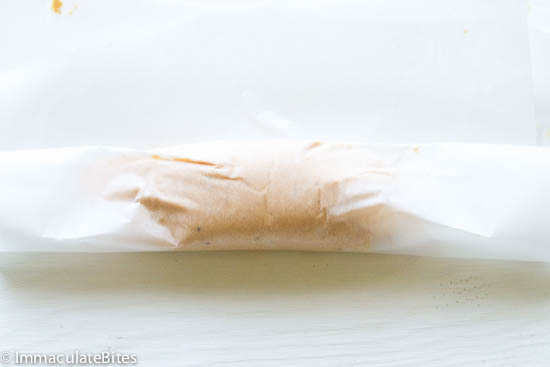 Fold dough over filling to enclose; then gently fold over dough and roll out it out d to form cylinder about 3” long. Place on a plate or clean surface . 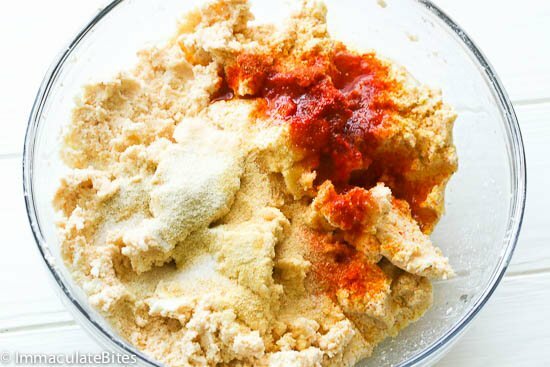 Repeat process with remaining dough and filling until you have used up all the dough. 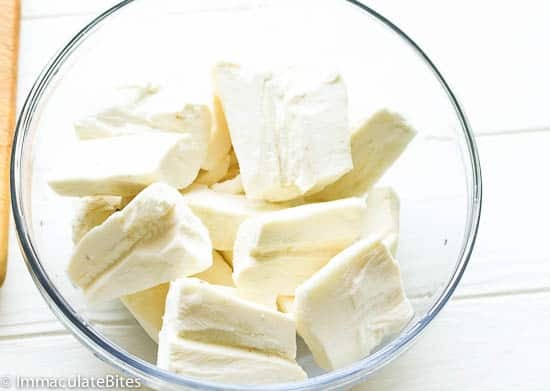 After you cut the Yucca into small chunks, wash them immediately and soak them in cool water until you're ready to use to avoid discoloration. Do not overcrowd the pan when frying. It'll make the dough all soggy. Any idea if I can use taro instead of yucca? I can’t get yucca here…or what would you say is the best substitute? And how long did you leave the dough mixture in the cloth to strain out the liquid? 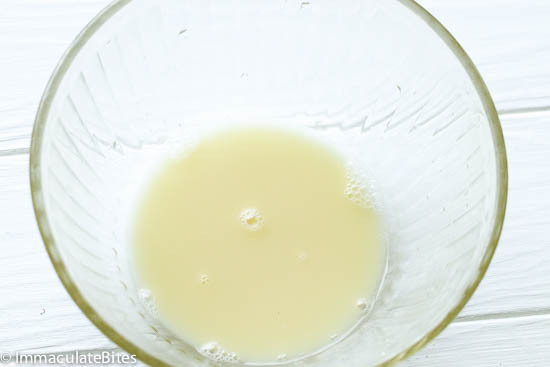 Lastly…any chance I can brush with oil and bake in the oven? You sure can. A lot of recipes use taro instead. I let in drain for about 5-10 minutes, depending on the sieve . Baking this would not have the right texture. It’s chewy . 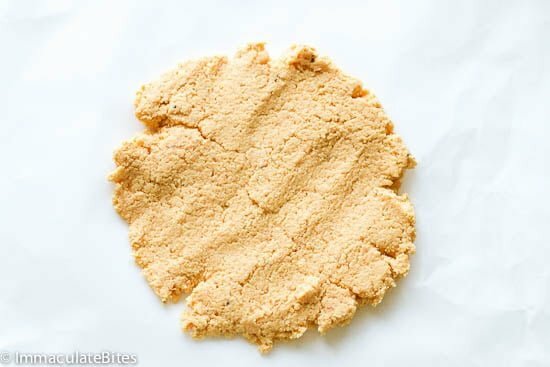 Try baking one and see if you like it, before proceeding with the rest. 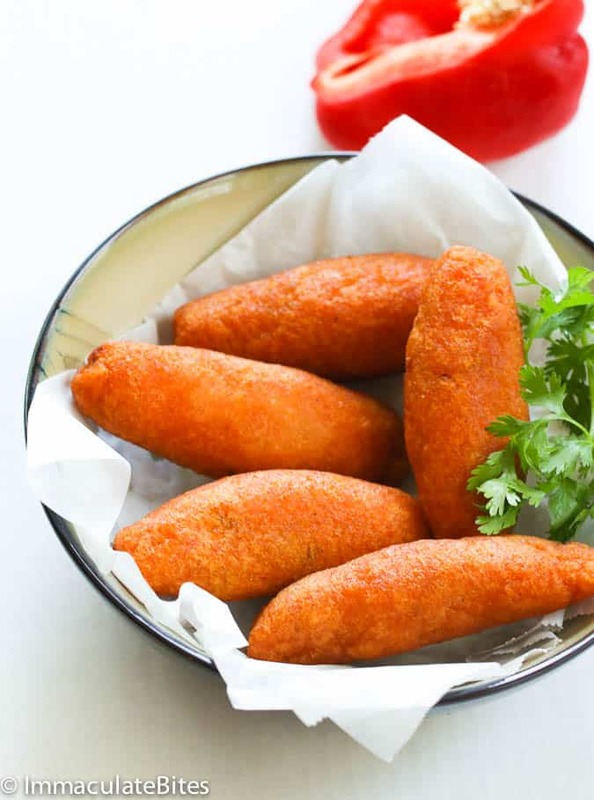 These come from a Middle Eastern/Levantine dish called ‘kibbeh’ that made its way to the Caribbean Islands. They even call it by that name in the Dominican Republic. 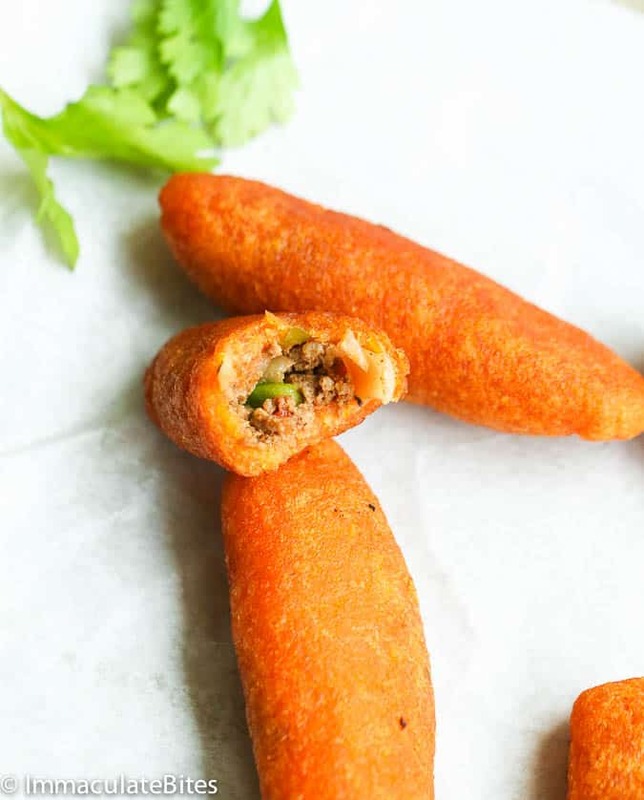 There are hundreds of variations of kibbeh, not just the type that is made from bulgur. Awesome! Thanks for taking time out to share this with us. I live in Honduras, and we have 2 kinds of yucca, white and yellow yucca. Which one would be best for this recipe? Hi Cyn! The white is best! At least that’s what I used here.